CDs are now available to buy at any of our events and on CD Baby! Clicking the button below will take you to CD Baby's secure checkout. CDs are $15 and digital downloads are $10. All proceeds go toward Craobh Dugan's efforts to promote Irish culture. On July 4, 1817, a shovel plunged into the soil in Rome, NY, thereby beginning one of the most significant turning points in American history. On that day, the Erie Canal began and set in motion the new nation's future of transportation, trade, and technology. To celebrate the 200th anniversary of this historic moment, museums, local governments, schools, and civic organizations all over New York are hosting events and creating special projects. The Irish and The Erie live program and CD is Craobh Dugan's contribution. Having lived his whole life near the Erie Canal, Craobh Dugan's lead fiddler and creative director Mike Hoke was inspired to look into the history of our Irish ancestors' contribution to the digging of "Clinton's Ditch". He knew that thousands of Irish immigrants had spent long hard days digging through the rough wilderness, facing perils like malaria and cholera, and he wanted to make sure the 200th anniversary commemorations didn't leave them out. After many hours spent at the Jervis Library, Mike wrote the script for The Irish and The Erie live performance filling it with stories and humor. Then he blended in traditional Irish tunes and songs and even added some new lyrics about the Erie Canal. Craobh Dugan mandolin and banjo player Bill Fahy contributed an original Erie Canal song too. Then a group of Craobh Dugan musicians performed the piece for many appreciative audiences in Central New York. It was so well-received we decided to record the musical portion of the performance with the amazing expert help of Jim Inman at his Shack #9 Studio. But there's more! Here on the website, you can read an abridged version of the story that goes along with the music by clicking the button below. Who are all those people on the CD cover? Our CD producer Bill Fahy came up with the idea to incorporate pictures of several people who played a part in Erie Canal history into the CD cover design. When he shared that idea with Sue Romero, Craobh Dugan's webmaster and graphic designer, she loved it and set to work researching characters to join in the story. 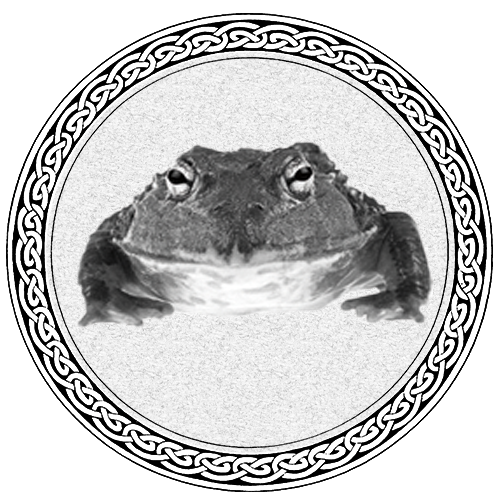 With the help of Rebecca McLain at the Oneida County History Center and Pamela Vittorio of the Chittenango Landing Canal Boat Museum, our collection of 13 personalities (and one bullfrog) came together. So pull up a chair and we’ll tell you a few stories about some of the personalities whose lives intertwined with the great waterway known as the Erie Canal. Some are Irish themselves and others played such significant roles in canal life that they most likely ran into a fair share of Irish people somewhere along the canal. This handsome gent with the moustache, who looks like he’s ready to take a swing at somebody, is Paddy Ryan. 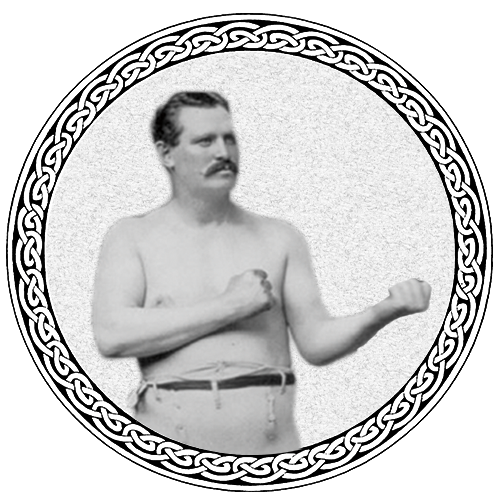 He was the world champion heavyweight bare knuckles boxing champ from 1880-82. Born in Co. Tipperary, he emigrated to Troy, NY, and worked as a lock tender on the Erie canal. Later he owned a pub in Troy where he hung up a sign that said, “All the fighting done here, I do.” There was plenty of that done apparently because his fighting abilities were discovered by RPI’s athletic director who trained him as a prize fighter. A bright and ambitious young man from Whitestown, NY, Canvass was sent to England in 1817 by NY governor DeWitt Clinton to learn all he could about how to build a canal. He walked 2,000 miles along the canals there examining everything from methods to materials. He came back with the tools and know-how to get started on the Erie. Over the next several years, he surveyed the best routes for parts of the canal and engineered other canals, locks, and dams. He even invented a superior kind of hydraulic cement that was sold worldwide, though he was not paid a cent for it! We can imagine Squire Whipple is probably conversing about inventions and patents with Canvass White on the cover, because he too was a great Erie Canal innovator. 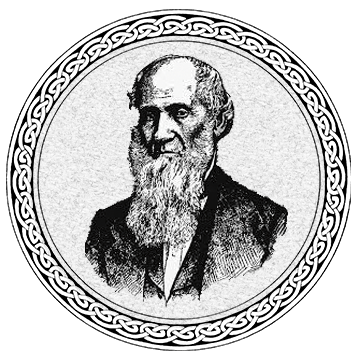 Squire famously invented the Whipple Cast and Wrought Iron Bowstring Truss Bridge and is known as the first person to apply scientific principles to bridge building. He’s responsible for most of those low bridges mentioned in the Erie Canal Song and his innovations in metal engineering also made American skyscrapers possible. 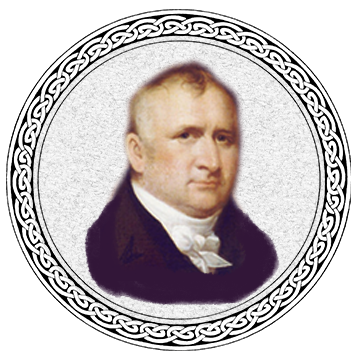 Next up we have Joshua Forman who DeWitt Clinton called “The Father of the Erie Canal” because he was an early adopter of the idea and introduced the legislation to begin its construction while he was a state legislator. In 1809 Joshua paid a visit to then president Thomas Jefferson who told Joshua that the canal he proposed was “...little short of madness…” and it was “a century too soon to make the attempt.” It’s not too surprising that Joshua was not discouraged by the words of even a president. He was a confident ambitious guy who, along with being a successful lawyer, judge and shrewd businessman, founded the city of Syracuse. Hailing from County Tipperary, J.J. McShane learned all about building canals in England. That’s where he met Canvass White who invited him over to New York to supervise the thousands of Irish immigrants who provided the muscle to dig, haul, push and shove the enormous amounts of earth, stone and logs to build the canal and all its aqueducts. J.J. recruited hundreds of Irish workers and helped create a positive company culture by sending out the “jigger boss” with swigs of whiskey at regular intervals. 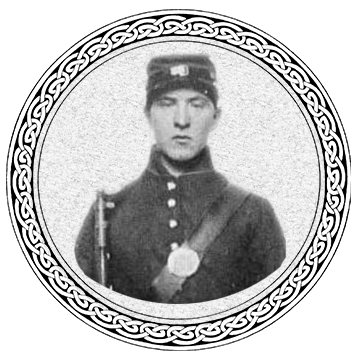 Who’s that in the Civil War uniform? She’s Lyons Wakeman, a.k.a. Sarah Rosetta Wakeman of Afton, NY. Growing up in a poor farming family, she realized early on that she’d need to go out and earn her bread. Her first job as a maid was not to her liking, so she dressed as a man and took work on a Chenango canal boat. By that year (1862), the success of the Erie Canal had spun off many other canals including the Chenango that connected the Erie Canal with the Susquehanna River. After her stint on the canal, Sarah enlisted in the Union Army and fought until 1864 when she died in New Orleans of illness caused by the harsh conditions of battle. There is no record of the Army ever discovering that she was a woman. 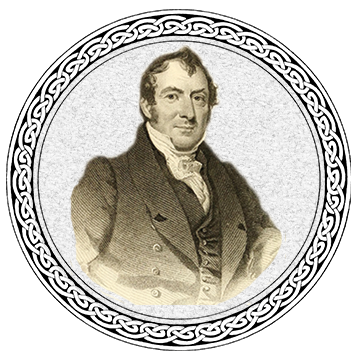 James Geddes started out as a school teacher in Pennsylvania, but got into the salt business in 1794 when he arrived in what’s now Syracuse. Early on he could see the value in building a canal to transport salt from the Onondaga area to larger markets. He taught himself surveying and spent years traveling on foot and horseback making highly accurate maps. 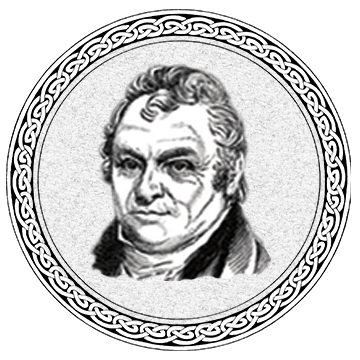 Together with Benjamin Wright, he laid out the path of the Erie Canal. Later he went on to survey canals in Ohio and Pennsylvania too, as well as serving as a judge, a state legislator and a member of the US Congress. John Henry Hopkins was born in Dublin, Ireland, and emigrated to Philadelphia with his family when he was nine years old. Before he was 32 he had worked as an accountant, an artist, an ironmonger, and a lawyer. Finally he was ordained as an Episcopalian minister. Soon after, in 1825 he hopped on a packet boat to travel the brand new Erie Canal from Buffalo all the way to Albany on his way to Manhattan. To pass the time on his trip he painted 37 scenes of all he saw along the entire length of the canal. This amazing first person record, pre-dating the invention of photography, was tucked away in the library of the University of Michigan for years until 2015 when Arthur Cohn (director of the Lake Champlain Maritime Museum) found it. You can see a few of the paintings in this newspaper article. Wanting to represent many kinds of people associated with the Erie Canal, we include here Matilda Joslyn Gage who lived in the bustling canal town of Fayetteville near Syracuse. She and her merchant husband moved there so he could take advantage of the canal’s transportation for commerce. But trade goods were not the only items to travel along the Erie Canal. New ideas like women’s rights and the abolition of slavery also spread as people traveled along the canal, and Matilda was involved in both. 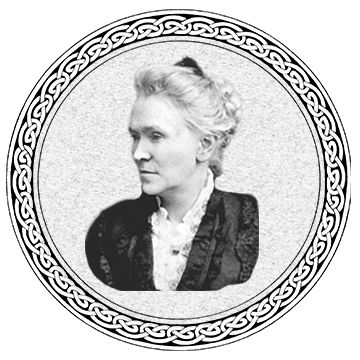 Along with Elizabeth Cady Stanton and Susan B. Anthony, Matilda actively wrote and spoke about rights for women and even faced jail time for her involvement with the Underground Railroad before the Civil War. 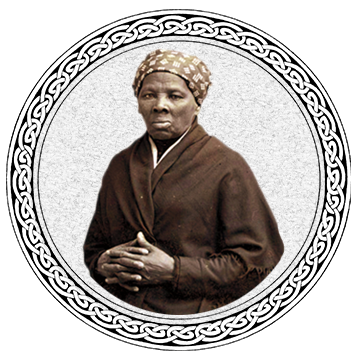 Everyone knows Harriet Tubman, the heroic Underground Railroad conductor, civil rights activist and humanitarian. But what was her connection to the Erie Canal? The canal played a large part in the operation of the Underground Railroad with many homes and churches along its path serving as secret “stations” where escaped slaves could shelter. Auburn, a prominent canal town and hotbed of abolitionist activity, was home to Harriet from 1859 until her death in 1913. 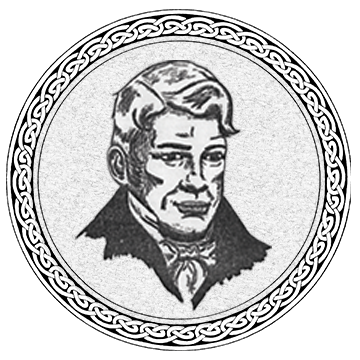 John Jervis started his illustrious engineering career on the Erie Canal when Benjamin Wright hired him to chop a four-foot wide path in the forest underbrush for the original canal survey expedition. He was just 22 years old at the time. He must have done a great job because only a year later he was promoted to resident engineer in charge of a 17-mile stretch of the canal. 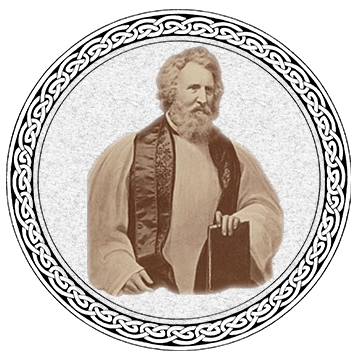 By 1824 he was General Superintendent of the Eastern Division. 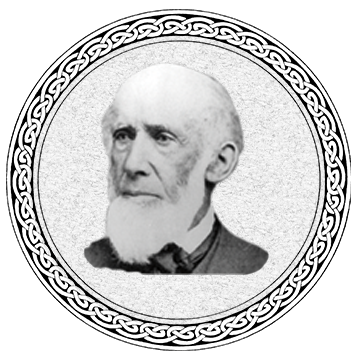 He went on to apply his engineering experience to other canals, the budding railroad system, and most notably to the Croton Aqueduct which brought fresh water into New York City for 50 years. At the end of his long life in 1885, he bequeathed part of his estate to the city of Rome, NY, for a public library which is still serving as a center of learning today. New York Governor DeWitt Clinton is lauded today as the great champion of the Erie Canal, but that wasn’t always the case. He first had to go through many years of mocking in the press for suggesting the idea of what they called “Clinton’s Ditch.” He had to have been quite a visionary to keep believing that this difficult engineering feat could be accomplished when so many others thought it was ridiculous. How vindicating it must have felt for him as he sailed from Buffalo along the 363-mile length of the Erie Canal carrying casks of water from Lake Erie and then pouring them into New York Harbor at the ceremony known as the Wedding of the Waters in 1825. Legend has it that this helpful amphibian could be called upon to pull stumps from the mires of the Montezuma Swamp and later to pull stranded barges during times of drought. If the job was too big even for a sturdy Irishman, canal workers would just call out, "Joshua!" Jim O’Looney, accordion. Originally from County Kerry, Jim played accordion for over 70 years. A resident of the Utica area since the 1950s, he founded Craobh Dugan with Pat and Frank Dugan. His many contributions to Irish music and culture in Central NY are one of the main reasons the music is alive and thrives today. Sadly Jim passed away in June 2018. You can read more about his well-lived life here. Sue Romero, bodhrán and vocals. From Sherrill, Sue has played bodhrán since 2012 and is also our webmaster, newsletter writer, and graphic designer. Chris Hoke, Craobh Dugan’s Chapter President. From Westernville, Chris has played bodhrán and held several leadership positions in the chapter since 1982. Bill Fahy, mandolin, banjo and vocals. Bill is from Rome, and has been playing, performing, and teaching American and Irish traditional music in Central NY for over 20 years. He’s been an active performing musician with Craobh Dugan for over 10. Ed Campbell, fiddle, guitar, and vocals. Ed is from Utica and has been playing Irish and bluegrass fiddle and guitar since 2004. Mike Hoke, fiddle and vocals. A self-taught fiddler since 1977, Mike was inducted into the Northeast Regional CCE Hall of Fame in 2007. The Irish and The Erie program was Mike’s idea. He wrote the script, chose the tunes, and keeps us all on track. Mike Carroll, flute, whistle, concertina, and vocals. From Little Falls, Mike is a proud member of the Irish diaspora. His first Irish flute was found running down the street under a dog's arm. Skip Mansur, banjo, bouzouki, and vocals. Skip now lives in New Hartford but is originally from Washington State and has been playing Irish stringed instruments for over 15 years. Many thanks to these generous supporters.